A stitch marker is something that can be used to indicate important points of your knitting project. It can be used to show the start of a row when knitting in the round, different sections of a pattern, increases, decreases and yarn changes. It can be used to count the number of stitches in your work and helps in minimising mistakes. We stock different types of stitch markers at The Yarn Cafe which are dependent upon the size of knitting needles being used. Some are plain circular rings which are useful when knitting lace pattterns (as they do not get caught in the work). Others are more elaborate and can be affixed to the knitting (lockable stitch markers), whilst others dangle prettily from the knitting needle. 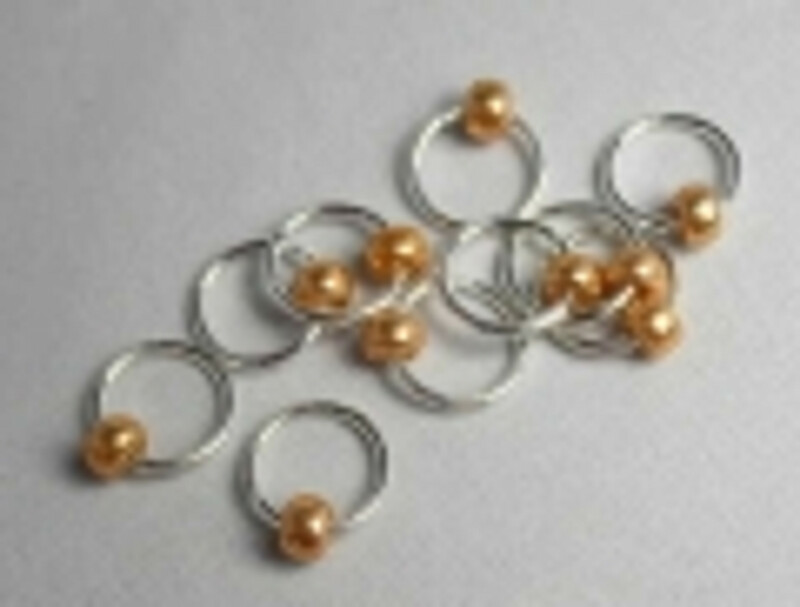 We have a range of stitchmarkers from Clover, Atomic Knitting and The Bothered Owl.